SUNNYVALE, Calif. - May 2, 2017 - PRLog -- Intuz is a leading mobile app development company that has attained a premier presence across the industry very offering reliable mobile app development and designing. We excel in Web and Cloud based development as well. Team Intuz holds more than a decade long experience in working with the versatile industry domains, understanding the clients' requirements, and delivering them excellent resolution. Believing in providing customer-centric IT solution and services, we always focus on helping clients in maximizing their ROI at least investment. We develop avant-garde mobile apps and web/cloud solutions that automate and streamline clients' business operations. Along with the development, our service portfolio also covers app marketing services to aid clients in improving app installs. We have recently developed a mobile app for a famous public figure Patrick Mimran. He is an artist and businessman living in Switzerland. He wanted us to re-design and re-develop his existing app "Aphorisms" with the greater look and feel to increase user engagement. Aphos had a quite different concept and required next-generation development as well as stunning design. To increase the outreach of the app, we offered app marketing services that contain path-breaking promotion strategies to boost the number of downloads. After understanding the requirements of Mr. Patrick Mimran, we were clear that he wanted a strong platform for the people who hold daring to express their bold ideas, irony, life quotes, aphorisms and art. Our team has designed a stunning app that comprises attractive billboards where users can express their thoughts with hi-end personalization. To make the app different from other thought sharing apps, we played with colors, designs, font style, etc. Following a seamless process for mobile app development, we started with requirement gathering, wireframes, UI/UX design, development, testing, app launch, and app marketing & promotion. Offering dynamic customization, we enabled users not only to share their thoughts and view others' the thoughts, but also customize the billboards with favorite pictures and colors, social sharing on popular social media platforms, and take a print or email it. Intuz mobile app development experts developed this app with all the social features. Users can make friends and connect with them through chat messages where they can start the conversation by sharing ideas, images, billboards, videos, etc. 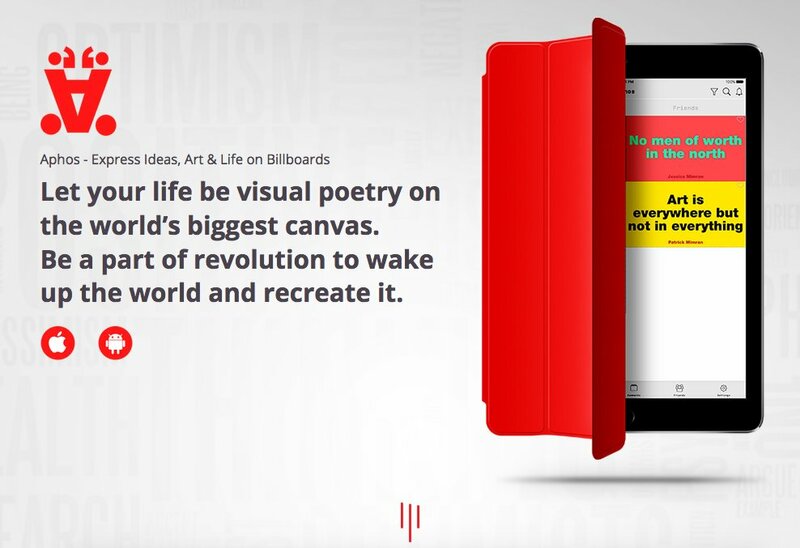 Billboard designing was the most critical part, as it required visually rich and highly engaging UI and UX for the app. We delivered a fabulous platform for the users to share their thoughts applying intuitive customization and share them with the friends and other users to inspire them. Under the app marketing services, we helped the client in boosting the app installs by catering with app store optimization, social media marketing, app reviews, and press releases.